After implementation of the decision, anyone found selling cigarettes or tobacco products without the specified warning will be liable to one-year imprisonment or a fine of Rs 1,000 or both on first conviction. 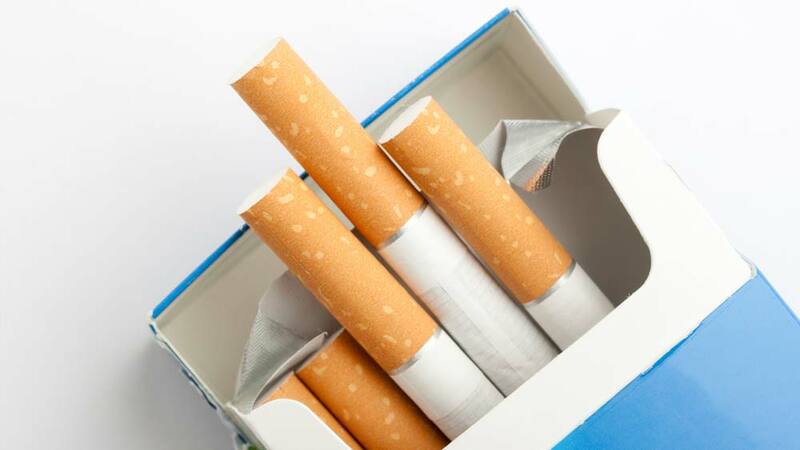 NEW DELHI: Come April next year, 85 per cent of space on cigarette packs and other tobacco products in India will have to be covered with graphic and text warnings of health hazard, making the country top ranker in terms of display of caution on packages. After implementation of the decision, anyone found selling cigarettes or tobacco products without the specified warning and the nicotine and tar contents will be liable to one-year imprisonment or a fine of Rs 1,000 or both on first conviction. For second or subsequent conviction, the term of imprisonment may extend to two years and with fine which may extend to Rs 3,000. According to the notification issued by the Union Health Ministry today, of the 85 per cent space, 60 per cent will be devoted to pictorial warnings while 25 per cent will be covered by textual warnings. At present, the space covered by the warning is 40 per cent. "The war against tobacco consumption is very important for everybody to win. Not only are families being destroyed by the rising burden of oral, throat and lung cancer, but a disproportionate share of the country's health expenditure is going towards tobacco's effects," Health Minister Harsh Vardhan announced at an event here organised to celebrate the Global Handwashing Day. "We have issued a notification today, which will make it mandatory for tobacco companies now to devote 85 per cent space on the cigarette packs or any other tobacco products for pictorial and textual warnings against the perils of tobacco," he said. "Tobacco means only death. I have seen this closely, effects of tobacco as an ENT surgeon," said Vardhan, who has been a practising doctor. Implementation will take place from April 1, 2015, which is intended to give enough time to tobacco companies to change their packaging. With this, India will join Thailand, where 85 per cent of space on cigarette packs and other tobacco products is covered with warnings, making it top rank in the list of 198 countries that warn smokers about the hazards of smoking through graphic pictures on cigarette packages. In Australia, it is 82.5 per cent and in Uruguay, it is 80 per cent. Earlier, India had slipped to 136th position, according to a new report 'The Cigarette Package Health Warnings: International Status Report 2014' released yesterday. By not enforcing pictorial warnings on both sides of a cigarette pack as is mandated by the WHO Framework Convention on Tobacco Control India ranked last among other SAARC nations that have graphic health warnings. About Us: Dhaba is an award-winning chain of Punjabi Dhaba &Theka.. Break taboos related to menstrual health: Mary..